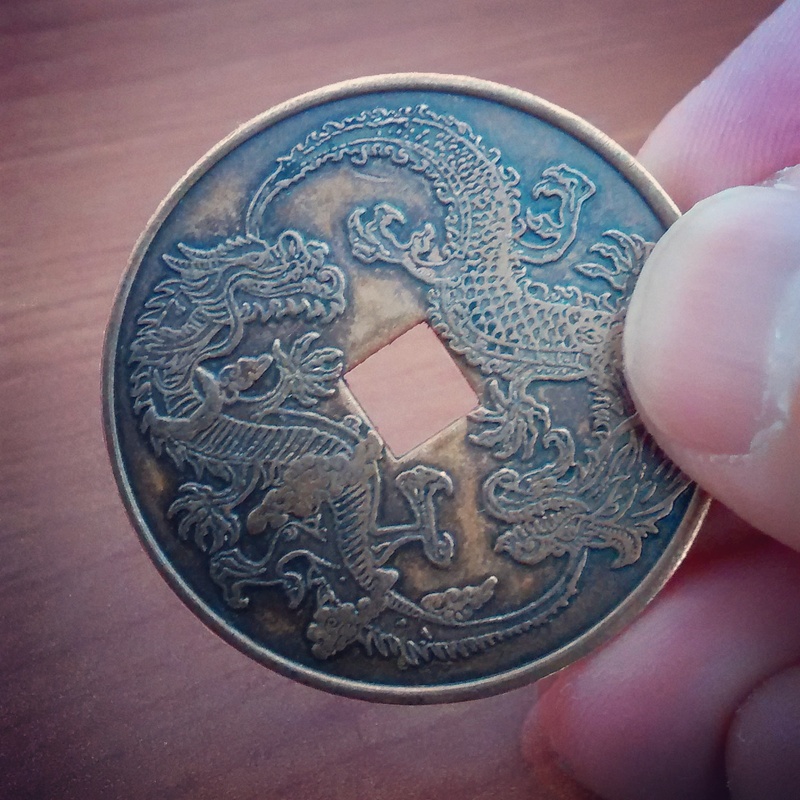 This is exactly the kind of coin you need to get to Arxnodorum, where the knots of fate are tied: a coin with two six-fingered dragons and a hole in the middle. Made by a reader of The Knot-Shop Man over in the US, for his twin nieces who loved the books. He kindly sent me four (four: of course) when they were created; I’d sent René's original artwork over when he approached me about making them. I have carried one in amongst my everyday coins ever since. Years later, it’s still with me, the imagined realm imposing into the ordinary, the fantastic into the real. It’s a remarkable artefact and I’m very, very grateful. The coin that appears on the covers of the books, which were of course published before this coin existed, was in fact — behind the scenes — a jam jar lid.